The overall goal of the project is to effectively tackle the issue of marine litter in the Mediterranean. 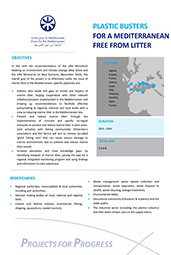 The project directly supports the implementation of the UNEP/MAP Regional Plan on Marine Litter Management in the Mediterranean, linking and contributing also to the global Honolulu Strategy framework for prevention and management of Marine Debris. The project is also in line with the recommendations of the UfM Ministerial Meeting on Environment and Climate Change (May 2014) and the UfM Ministerial on Blue Economy (November 2015). 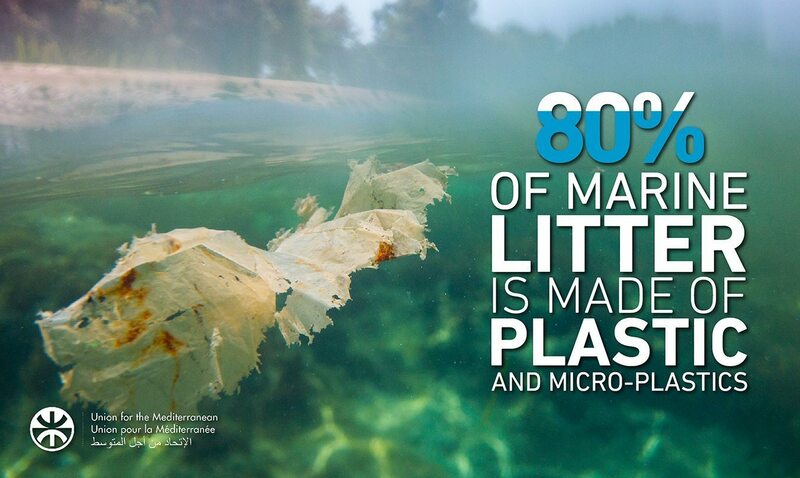 Marine litter has become a major pollution problem affecting all of the world seas. Increased levels of marine litter originate largely from land based activities (~80%). This includes, in particular, inadequate urban solid waste management (collection, transportation, treatment and final disposal) negative impacts on human health, marine wildlife, marine ecological systems, beach quality, and navigational safety as well as fishing and maritime industries. According to the European Environmental Agency (EEA), the average amount of municipal solid waste produced in the EU is 520 kg per person/year and is projected to increase to 680 kg per person/year by 2020. While solid waste generated in non‐EU Mediterranean countries is still approximately half the per capita level in the EU, waste generation in the southern Mediterranean region has grown approximately 15 % over the last decade; mostly due to a growing population and increased consumption. Sound, shared scientific knowledge and coordinated and multi‐sectoral actions are therefore key in combating marine litter. Over a 4-year period, the project will address the entire management cycle of marine litter, from monitoring and assessment to prevention and mitigation, as well as actions to strengthen networking between and among pelagic and coastal marine protected areas located in Albania Croatia Greece Italy, France and Spain. The project also foresees transfer and capitalization of results and achievements to the Mediterranean basin at large. The nature and effects of plastic litter on the marine food chain, fisheries and fishing activities, as well as human health are still largely unknown and are important issues investigated within this project. A series of concrete prevention and mitigation actions and approaches (e.g. fishing for litter; removal and collection of derelict fishing gear and establishing recycling mechanisms e.g. “Healthy Seas initiative”; establish return/deposit systems for packaging, etc.) are intended to be developed, tested and promoted during the project in several pilot areas in the Mediterranean basin. Following a ‘’life cycle thinking’’ and a circular economy approach, the project will also carry out a systemic evaluations of the feasibility, reliability and sustainability while involving relevant stakeholders such as port authorities, fishermen and municipalities. The project further foresees a wide range of actions to enhance the awareness of stakeholders and promote change in their perceptions and attitudes towards waste. The label delivered by the UfM is the recognition of the urgency to join forces towards a shared and coordinated regional approach to provide regional actions and solutions to this common problem. As underlined by the Barcelona Convention within the Regional Plan for Marine Litter (Istanbul 2013) “Marine pollution knows no border, pollution in one country affects all the others”. The project “Plastic Busters MPAs” (PB MPAS) was funded by the EU Interreg Med Programme with €5 million in January 2018. PB MPAs stems from the “Plastic Busters” initiative, promoted by the University of Siena and labelled in 2016 by the 43 Member states of the Union for the Mediterranean as a priority regional initiative to prevent, reduce and remove marine litter from the Mediterranean Sea. The project will be implemented by the University of Siena, the Italian Institute for Environmental Protection and Research (ISPRA) and a wide consortium of national and regional organisations with the overall goal of maintaining biodiversity and preserving natural ecosystems in pelagic and coastal marine protected areas by implementing a harmonized approach against marine litter, as proposed by the labelled UfM project. Over a 4-year period, the project will address the entire management cycle of marine litter, from monitoring and assessment to prevention and mitigation, as well as actions to strengthen networking between and among pelagic and coastal marine protected areas located in Albania Croatia Greece Italy, France and Spain. The project also foresees the transfer and capitalisation of results and achievements to the Mediterranean basin at large. University of Siena ‐ Within the framework of the global UN “Sustainable Development Solutions Network (UNSDSN),” directed by Prof. Jeffrey Sachs, the University of Siena coordinates the first Regional SDSN Center for the Mediterranean, called MED Solutions. 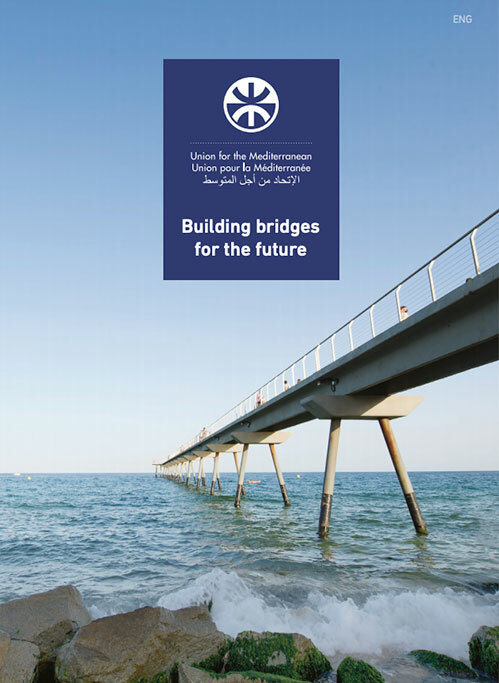 MED Solutions is a network of universities, research centers and businesses identifying and promoting sustainable solutions in the Mediterranean region. Experts in different disciplines were invited to the first MED Solutions conference which was held in Siena, Italy, in July 2013 to identify the first set of sustainable development solutions and they selected Plastic Busters as flagship solution. The University of Siena has a wide experience in collection of data on micro-plastics in the Mediterranean Sea and in the eco-toxicological effects of plastic derivates on bio-indicator organisms. 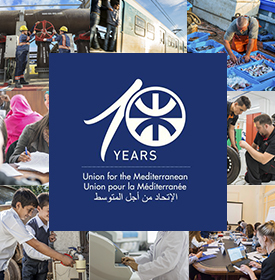 UNEP/MAP ‐ The MAP (Mediterranean Action Plan) – is a regional cooperative effort involving 21 countries bordering the Mediterranean Sea, as well as the European Union. Through the MAP, these Contracting Parties to the Barcelona Convention and its Protocols are determined to meet the challenges of protecting the marine and coastal environment while boosting regional and national plans to achieve sustainable development. MIO-ECSDE ‐ The Mediterranean Information Office for Environment, Culture and Sustainable Development, is a non‐profit Federation of 128 Mediterranean Non‐Governmental Organizations (NGOs) for Environment and Development . IFREMER ‐ has been involved in the collection of data on macro‐litter since 1994 in the Mediterranean and since microplastics, developing original methods to quantify floating debris based on the use of a wave‐glider. HCMR ‐ has a large experience in collecting data on macro‐ and microplastics in the Med as well as on effects of microplastics on marine biota. It is legally bound to apply the WFD and the MSFD in Greece. SOCIB is a large scale marine infrastructure, that provides streams of oceanographic data and modeling services (ocean currents and waves) to support operational oceanography in a EU MSFD. ISPRA – The Institute for Environmental Protection and Research, Laboratory of Ichthyology and Marine ecology has a large experience on detecting the effects of marine pollution and marine litter on marine trophic webs and fisheries resources. Biochemistry and Environmental Toxicology, Higher Institute of Agronomy, University of Sousse (TN) has a large experience on monitoring the effects of marine pollutants in marine organisms. IWRS, Institute for Water of the Republic of Slovenia (SI) is a leading professional body for the implementation of the Marine Strategy Framework Directive (MSFD, 2008/56/EC) it is also leading the task on preparation of marine litter indicator and Marine LitterWatch development and promotion. ISOTECH – Environmental Research and Consultancy is one of the leading environmental companies in Cyprus. The firm has a dynamic involvement in environmental consulting and applied environmental research. Consorzio Mediterraneo – has a large experience in Fishing for litter, targeted recovery of ghost nets & derelict fishing gear management. ECNC Land & Sea Group ‐ has a large experience on the Circular economy approach – turning plastic marine litter into products. FispMed ‐ The association “International Federation for Sustainable Development and the Fight Against Poverty in the Mediterranean‐Black Sea” ‐ FISPMED has over 224 partners in 39 different countries in the Euro‐ Mediterranean and Black Sea, representing, therefore, more than 1.8 million citizens and citizens of the same basin area.